Dr. Robin Miller, in addition to being an experienced Board Certified Internist, is also an Integrative Medicine specialist, having trained with Dr. Andrew Weil as a Fellow at the University of Arizona. She is the founder and medical director of Triune Integrative Medicine, an innovative medical clinic in Medford, Oregon. She is an award winning medical correspondent on regional and national television, radio, and the internet, the author of a health book for children, Kids Ask the Doctor, and a board member of The National Association of Medical Communicators, a society of medical journalists in all media. She is also an Assistant Professor of Medical Informatics at the Oregon Health Sciences University. Dr. Miller received her B.S. degree from the University of Michigan with High Honors, where she was elected to the Phi Beta Kappa honor society, and her M.D. degree from the University of Illinois School of Medicine. After completing her postgraduate residency at the University of Oregon Health Sciences Center, she did a fellowship in Internal Medicine at the Johns Hopkins Hospital. While there, she also received a Master of Health Sciences degree at the Johns Hopkins University Bloomberg School of Hygiene and Public Health, where she was named a Mellon Fellow. 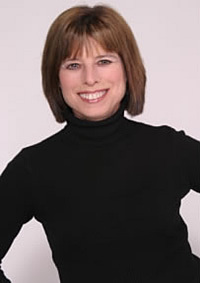 After several years on the fulltime faculty at the State University of New York at Stony Brook, where she published many medical articles on heart disease in women, she relocated to Oregon and practiced as a primary care and urgent care physician, in combination with serving as a member of the county and the State Task Force on Domestic Violence. Before founding and becoming the medical director of Triune Integrative Medicine where she currently works, she completed a fellowship in Integrative Medicine at the University of Arizona School of Medicine. In addition to being a medical columnist for The Daily Courier in Grant’s Pass, Oregon, she currently can be seen as the medical correspondent for KOBI, the NBC affiliate in Southern Oregon and Northern California, and nationally on The Patient Channel and MSNBC.com. Dr. Miller has been chosen to be the Integrative Medicine specialist on the Editorial Advisory Board of Sharecare.com, the new website for medical information founded and run by Dr. Mehmet Oz ("The Dr. Oz Show"). As such, she will not only oversee the content, but also answer medical questions on this exciting new informative website for the general population.